William Faulkner, like his mother, was a great reader of detective fiction....The classic cases and sleuths are there in hardcover and paperback. Nero Wolfe and Inspector Maigret appear alongside the works of [John Dickson] Carr, [Carter] Dickson, [Dashiell] Hammett, [Ellery] Queen, [Mary Roberts] Rinehart and [Dorothy L.] Sayers. John Faulkner, the author's brother, also confirms that the whole family enjoyed detective fiction. He recounts one amusing occasions when Bill pretentiously declared that he never read anything more except Shakespeare and the Bible," although he had asked his mother, "only minutes before, if she had anything new about Nero Wolfe and Archie Goodwin." I remember one day walking with Faulkner over to the drugstore where he was going to exchange a stack of mystery stories for a new stack. I asked him, "Why do you read all of these damn mysteries?" and he said, "Bud, no matter what you write, it's a mystery of one kind or another." William Faulkner's interest in detective fiction is well-known among Faulkner aficionados, and has, indeed, been discussed previously at this blog. In his attraction to the mystery form Faulkner hardly was alone among great writers of the 1920s and 1930s : other mystery fiends of his distinguished breed who might be mentioned are T. S. Eliot (blogged about here a number of times), Fernando Pessoa (subject of an essay by Henrique Valle in Mysteries Unlocked), Ernest Hemingway and Sinclair Lewis. There is, indeed, as much mystery in Faulkner novels like The Sound and the Fury and Absalom, Absalom! as there is in any of the most baroque Golden Age detective novels. When I read those two novels over thirty years ago I found them as purely page turning as any classic mystery in the sense of their drawing me into the dark tales with the tantalizing lure of discovering just what the heck it was that had happened to the various characters. Absalom, Abaslom! in particular draws on all sorts of classic southern Gothic tropes familiar today in the writing of such writers as Tennessee Williams, Truman Capote and Flannery O'Connor and films like Hush, Hush, Sweet Charlotte. What did Oxford have to offer [Faulkner]? The [town] square shut down at six. The county was dry. There were no bars. Restaurants stopped serving at nine. Where could he go? There was a single oasis on the square, Garthright-Reed's Drugstore, on the south side of the square where it had stood for thirty years, stayed open until ten. Here was Pappy's ray of hope, his light in the window. It wasn't exactly a watering hole, but this friendly neighborhood drugstore offered something that bars couldn't: a lending library. Having read all the books in his library, however, Faulkner resorted to Garthright-Reed's Drugstore "for something new to read." Pharmacist Mac Reed was a great admirer of Faulkner's writing, keeping copies of his out-of-print books for sale, "stacking them next to the cash register." 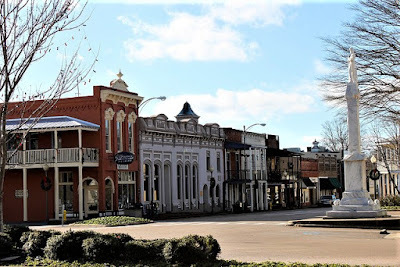 Since Oxford had no bookstore, "Garthright-Reed's was the only place in town to purchase Faulkner first editions--signed when the author was in a good mood." As soon as heard about the lending library, Pappy was there. The square was a ten-minute walk from Rowan Oak. He could puff his pipe and pretend that he was going someone besides Garthright-Reed's and be grateful that as long last there was somewhere to go in Oxford after nine at night. He could "drop in" at the drugstore and sort through the paperbacks, greet other regular lending-library patrons, and perhaps exchange an opinion on this mystery or that. Hopkins serenely presided over this burst of nocturnal activity. An avid reader and devoted fan of William Faulkner, he welcomed Pappy to the store night after night. One day, however, one of the volumes from the lending library vanished! 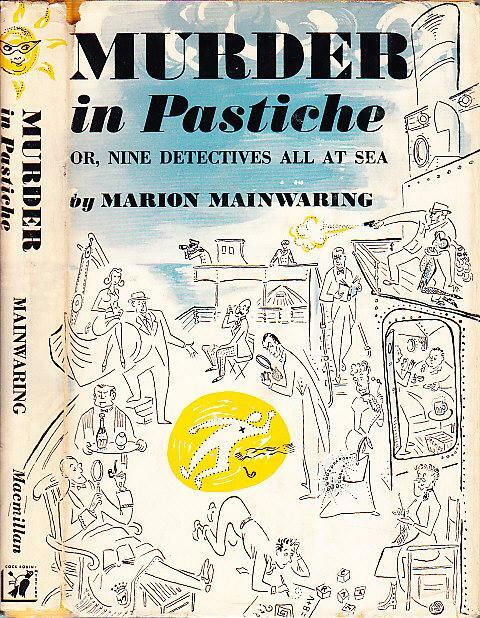 "The overdue book," writes Wells, "was Murder in Pastiche...by Marion Mainwaring." 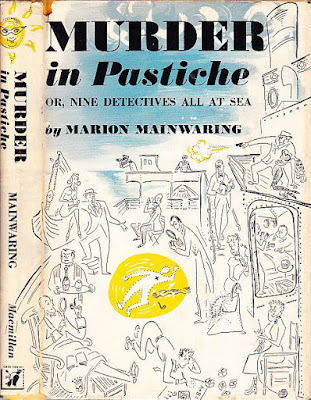 Readers of this blog will recall that in my last, more than month-old post I wrote about Marion Mainwaring and her first of two detective novels, Murder at Midyears. 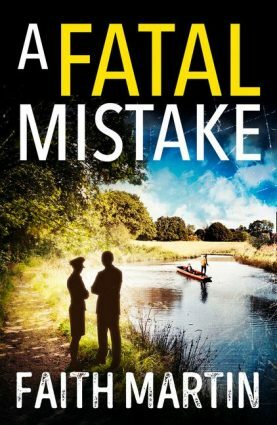 In the post I also mentioned how highly praised Mainwaring's second detective novel, the aforementioned Murder in Pastiche, had been by the United States's then premier crime fiction critic, Anthony Boucher. After several weeks Hopkins went to Rowan Oak to pick up the book [Murder in Pastiche]. I don't know if he went out of his way to track down every overdue item. Maybe he was just caught up in the art of detection, or maybe he just wanted to visit with Pappy. When Aunt Estelle [Faulkner's wife] came to the door, Hopkins explained why he had come and she said, "Just a minute, I know right where Bill put that book." She gave it back to Hopkins and apologized for its being late. Hopkins thanked her and brought it back to the drugstore. Years later Hopkins told Wells this anecdote at the annual Faulkner Conference at the University of Mississippi. "Not long afterward," Wells wryly reports, she and her husband "purchased a copy of the paperback and presented Murder in Pastiche to him with an apology for having "kept it" so long and, considering that the book was fifty years overdue, with a request for special consideration regarding late fees." 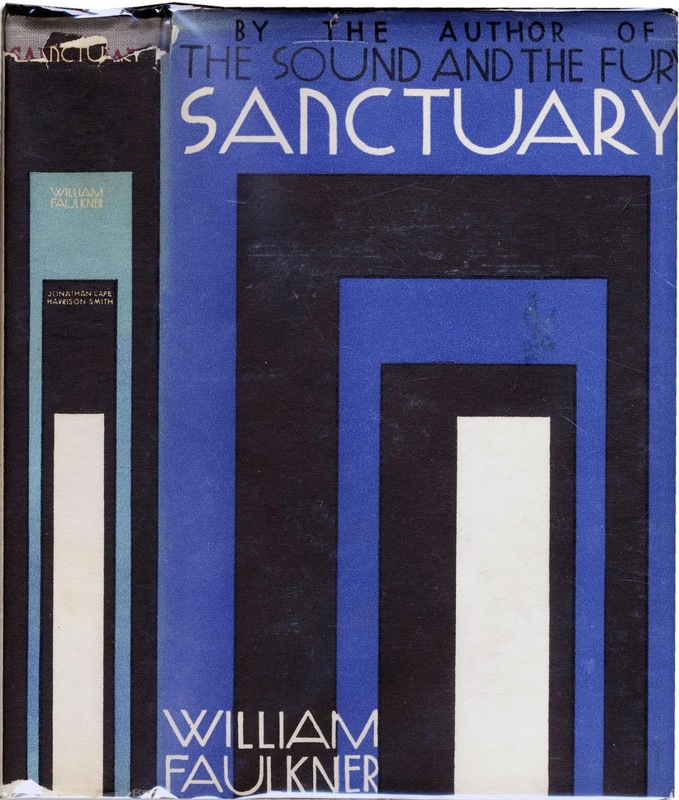 More on Faulkner and Square Books. More coming soon on Murder in Pastiche! I enjoyed Faulkner's stories in Knight's Gambit. 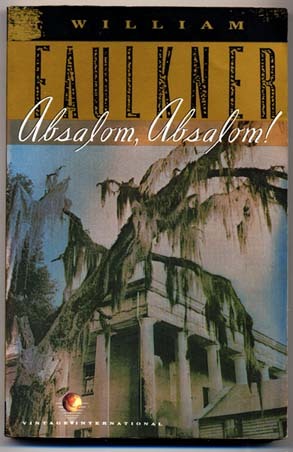 It may in fact be the best Faulkner book for new/casual readers. His interest in Mainwaring's crime fiction constitutes high praise indeed. Yes, Ben, I recommend Knights Gambit too, though I think he overelaborated the lead tale. And I agree that Faulkner thought the book worth swiping is high commendation indeed! ;) the man was a literrary genius, even if he had his foibles. Curt, it's nice to see Fernando Pessoa popping up in The Passing Tramp from time to time! I'm sure he would be delighted to know that his interest in detective fiction is mentioned in your blog and not only by highbrow academics incapable of understanding it properly. Henrique, I'm sure I'd be thrilled to have Pessoa reading my blog! Please email me!